If you were to make a game about Alice exploring a twisted, violent version of Wonderland, what kind of game would it be? A standard platformer and brawler? I'd hope not, though that's exactly what developer Spicy Horse chose to make. But what's done is done, so what's it like to hop around their dark, demented Wonderland? Can I Return The Madness Without A Receipt? As I see it, there are two big reasons for that. The first is the complete lack of imagination in what, exactly, you're doing in Wonderland. Every action you'll take can be broken down into one of three categories: Platforming, combat, and puzzle-solving, none of which the game does particularly well. The platforming is pretty dull by modern standards, and quickly falls into a very mechanical routine. You'll jump from one floating platform to the next, sometimes riding air currents up, until you get stuck and have no clue where to go next, but the solution is always the same: find a lever to pull or a switch to hit. Then you keep going. There's nothing particularly interesting or fun about it, and it feels like a chore most of the time. There's nothing particularly interesting or fun about it, and it feels like a chore most of the time. Fighting against angry playing cards, ghost pirates, and samurai wasps fares a bit better than the dusty platforming, but it suffers from being a little too mindless, a little too button-mashy, and a little too imprecise. The fact that it's also more difficult than you'd want it to be only compounds those problems. Pretty early on, I turned the difficulty down to easy so I could just burn through it faster. 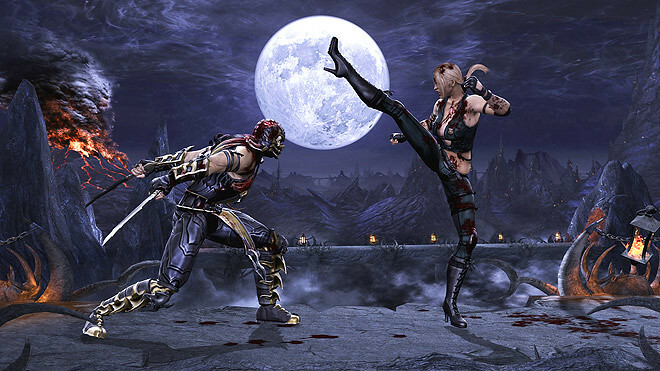 I don't even really understand why it's thematically relevant to turn Alice into Kratos Jr. in the first place; it's as out of place for Alice to be engaging in a typical hack-and-slash as it was last year for Dante. And the puzzle-solving, if you can call it that, is just so mind-numbingly easy that it becomes nothing more than busywork to do between platforming and fighting. Sometimes, you'll have to rearrange a scrambled picture, but only after you arbitrarily collect the parts first. Other times, you'll move pieces on a chess board. They're more tedious than anything else, but as a break from the rest of the game, they're passable. The second reason why Alice is so boring is that it just goes on and on and on. After the first couple hours, you'll have seen pretty much everything Alice has to offer, but Spicy Horse had no grasp of when enough was enough. It doesn't matter what crazy, visually distinctive backdrop the game has you moving through, you'll be doing the exact same stuff on all of them. 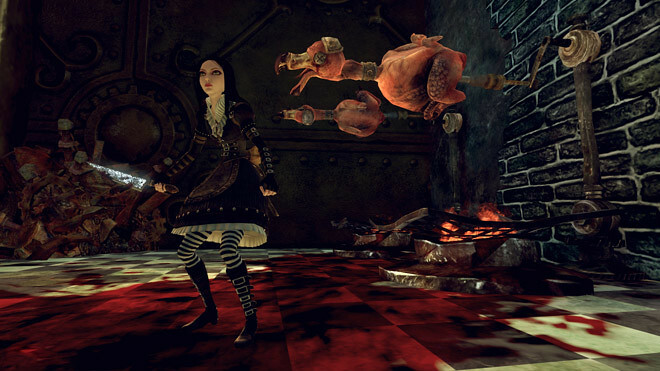 There are enough ideas in Alice to make it a unique and quirky six to eight-hour experience, but instead, Spicy Horse spreads those ideas thin for over 20 hours, forever cementing the argument that a game's length has no bearing on its value; it's the quality of the experience that matters, and Alice: Madness Returns is absolutely dreadful. It would seem that the draw, then, would be Alice's unhinged sense of style. And sure enough, that's probably the only redeeming thing about the game. At times, when Alice's world opens up and gives you a crisp, colorful vista to look at instead of a dim, featureless corridor, Wonderland can be a strange and alluring place. The scenery I enjoyed most, for example, had me jumping along giant playing cards in the sky that appeared out of nowhere, leading me through the clouds to floating castles of cards. And yet, that section was over after about 10 minutes, representing the one and only time the game didn't wait until I had already been sick of an environment for at least an hour before finally refreshing the scenery. Alice's story moves at a snail's pace, and suffers for it. Truth be told, since so much of the game had me trudging through banal, monotonous caves, without the Cheshire Cat popping in every once in awhile, I probably would've forgotten that it was set in Wonderland at all. It's the loosest of associations, defined mostly by brief cameos from gnarled caricatures of faces you'll recognize. So for me, Alice's humdrum version of Wonderland was not a draw at all. The tale woven in this Wonderland is far less interesting than it should've been, again crippled by a severe lack of creativity and a misguided need to stretch the game's length well beyond reason. Alice's struggle to remember her repressed memories of her family's death by fire, forcing a mental retreat into a Wonderland in shambles, should be fascinating, and at times, it is. But it became much harder for me to care when every time I'd meet new character, the first thing he'd do is send me on several hours-long fetch quests at once. Alice's story moves at a snail's pace, and suffers for it. 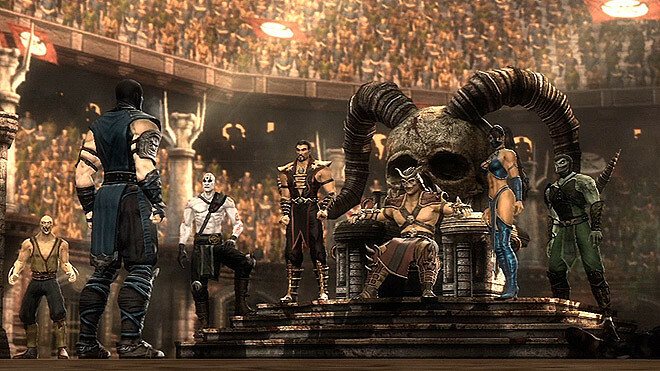 What also made it difficult to appreciate the story were the between-level cutscenes that, while gorgeous and gleefully aberrant, had such awful sound mixing that I had to turn subtitles on to hear anything that characters were saying. Weird technical issues like that cropped up throughout the game and really detracted from the experience, like getting stuck in the level geometry and needing to restart the game. 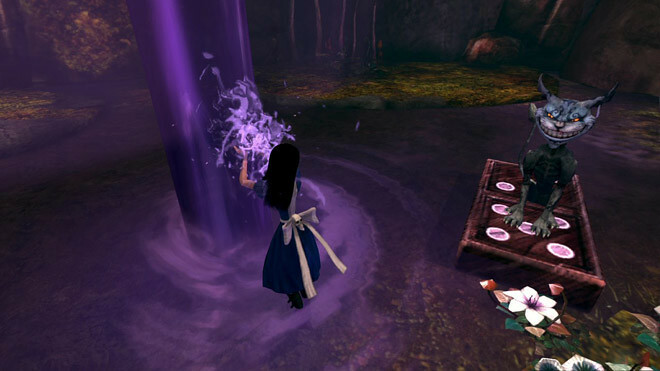 Or odd hitches where the game would freeze for a moment whenever I'd pick up one of Alice's collectable memories. Or the inconsistent framerate that made the few music-based timing challenges almost impossible. It's stunning to me that a game set in Wonderland can be so unimaginative. What should have been a delightfully bizarre and psychedelic experience ended up being an all too sobering example of why games shouldn't be padded out. 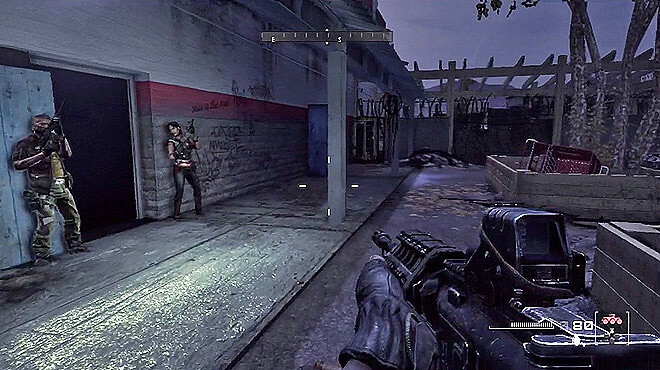 Even with a suit that lets you turn invisible Predator-style or become nearly invincible, Crysis 2 doesn’t do enough to set itself apart from every other first-person shooter game out there. One of the most indicative qualities of Crysis 2 is a message that appears in the middle of the screen during cutscenes, letting you know that you can skip the story and get back to the action. If the developers didn’t care about the story, why should you? Honestly, there’s no reason not to skip the cutscenes. 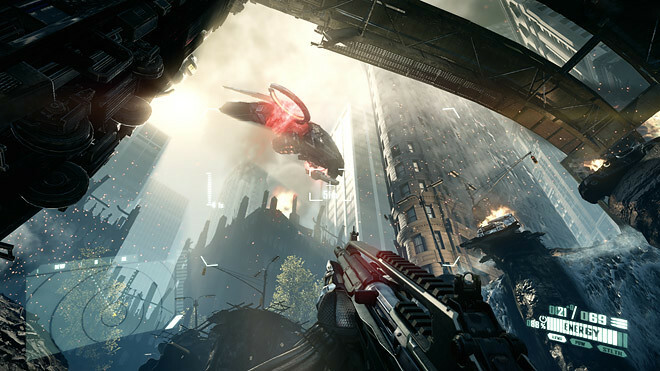 Crysis 2 weaves a tale that’s altogether generic, confusing, aimless, and incredibly boring. If you thought that an alien invasion of New York City would be exciting, you’d be wrong in this case. 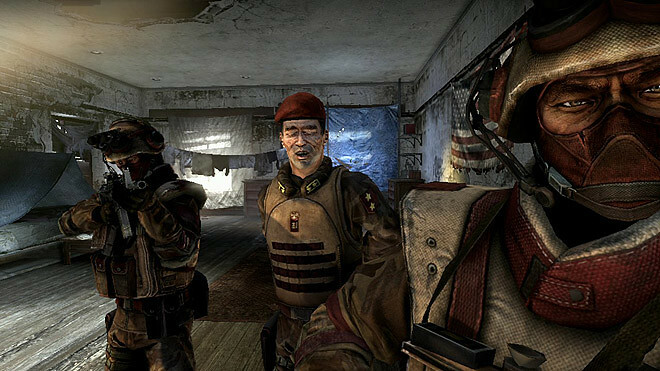 You start the game as a Marine named Alcatraz, who gets saved from an early death by some guy from the first Crysis named Prophet, who gives Alcatraz a crazy suit called the Nanosuit 2.0. And on an adventure you go, wandering around New York like a tourist without a map, shuffled this way and that way, as you try to stop some weird aliens with tentacle dreadlocks that invaded Earth in the original Crysis. If you think I’m referring to the first game dismissively, rest assured that I’m giving it the same amount of respect that Crysis 2 does. Alcatraz never really seems to have a mind of his own, being told to go meet this person or kill that person at will. There’s never any cohesive structure to the story, and it ends up feeling like the developers were just making it up as they went along. The game finally comes to a screeching, anticlimactic halt, but there is zero resolution. Instead, it leaves the door open for potentially infinite sequels, none of which sound at all interesting. That Nanosuit is interesting, for sure, but it’s not enough to save Crysis 2 from feeling shockingly bland. 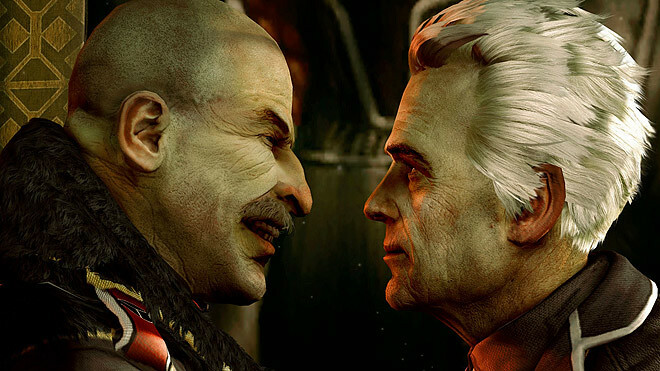 You’ll fight against humans and aliens throughout the campaign, but neither feel too different from each other. When fighting against humans, there’s at least good opportunity for experimentation in your strategies, even if all you ever really need to do is hit the cloak button and walk past everyone. Fighting against the aliens is no different from fighting against humans, except that you can’t take them out with a single headshot. Instead, if you want to stay stealthy, you’ll have to sneak up behind them and knife them in the back. Whoever you’re fighting against though, bad artificial intelligence is a huge problem. I lost count of the number of times I came across enemies perpetually running against walls. They’re as dumb as they can get, and never satisfying to kill. I felt more like I was putting some of them out of their misery than engaging in a fair fight. 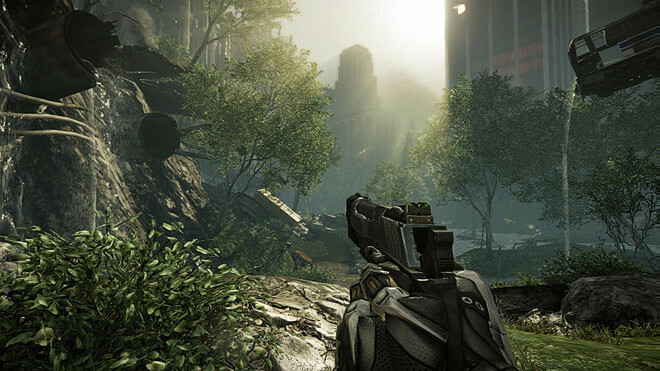 From what I played of the multiplayer modes in the beta, Crysis 2 was as underwhelming against actual human opponents as it was in the single-player campaign. For the sake of having an informed review, I tried getting into a couple games in the retail copy of the game, but it crashed on me both times. Oh well. 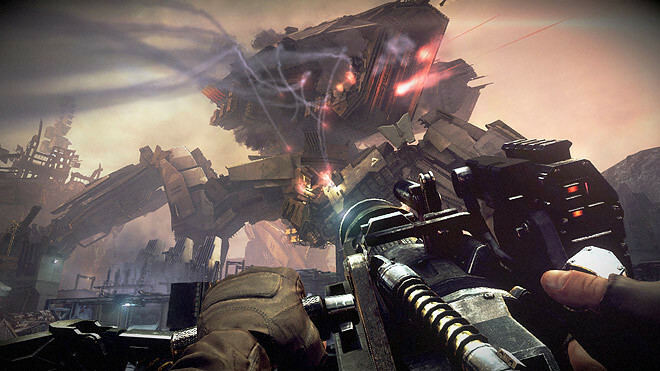 And “oh well” is all you can really say about Crysis 2. It’s the kind of game that comes and goes without any impact. Leave the Nanosuit to Alcatraz and spend your time and money on something more memorable.